Looking good is quintessential for brides on her Wedding Day and of course the bridal glow can only be enhanced when the bride feels good!By doing Yoga, it will enable brides to not only exercise which is good for their health but also eases their mind and releases the tension & stressful thoughts that they might have before the big day. 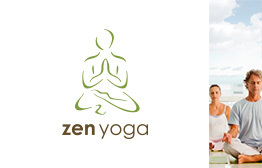 YouGotaGift.com recommends purchasing the Zen Yoga eGift Card for the brides-to-be which provides a diverse range of Yoga classes as well as Pilates. It also has classes dedicated only for ladies. Doing Yoga will not only help release the tension before the big day but will also give the spiritual time that one needs to simply unwind, meditate & relax before the big day. Tip 2 – Get your Nails done! Let’s not forget to treat your nails with care! The right nail color and the right treatment for a brides nails can have nails looking glamorous on the wedding day. 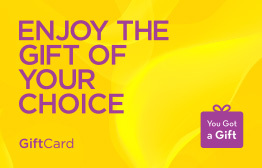 YouGotaGift.com recommends purchasing NBar eGift Card for your perfect nail treatment. 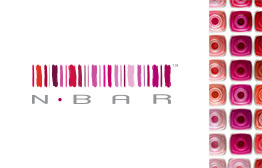 N.BAR is a name that is known for over a decade in UAE for its excellent services when it comes to nails. Nails need to be perfect for the big day with the right treatment & the right shade of color that best fits what you’re wearing will definitely go a long way for your photos on the wedding day. 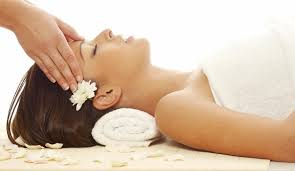 Tip 3 – Do treat yourself with a massage! Spend an hour or two or possibly even a day at the spa to release all your tensed muscles; whether you’re a bride, bridesmaid or even the mother’s bride. 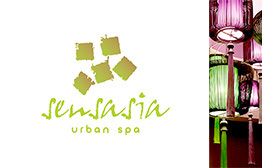 YouGotaGift.com recommends SensAsia Urban Spa eGift Card where one can select from a wide range of services. One of their most popular service that we recommend before the big day is the Absolute Spa Ritual where you spend a whole day at the spa looking ravishing and relaxed before your big day. It starts with a Balinese Massage, followed by a Royal Javanese Body Cleansing ritual, a Luxe milk and flower bath, followed by food and refreshments. That is pampering at its best! Isn’t it? This the time for the brides to enjoy themselves & dose off while the therapist removes any tension that they may have. This will also help release any form of anxiety that brides might be experiencing before the wedding day. Whether you’re a bride, bridesmaid or bride’s mother, ensure those three Do’s are done by purchasing the eGift Cards from YouGotaGift.com before the wedding day & this will ultimately help you get in fit, relaxed and in the right frame of mind for the wedding! Zen Yoga is known to provide a safe haven away from your busy and hectic life. This Yoga and Pilates studio offers a range of classes with a variety in meditation, Pilates, and yoga. All of the instructors are certified professionals, so be sure that you are in good hands. With studios in Media City, Emirates Hills, or Jumeira, Zen Yoga is easily accessible. NBar is known to provide a luxurious experience in beauty and grooming services including, manicures, pedicures, hand and foot therapies, full body waxing, eyebrow threading, lash extensions, facials and massages.